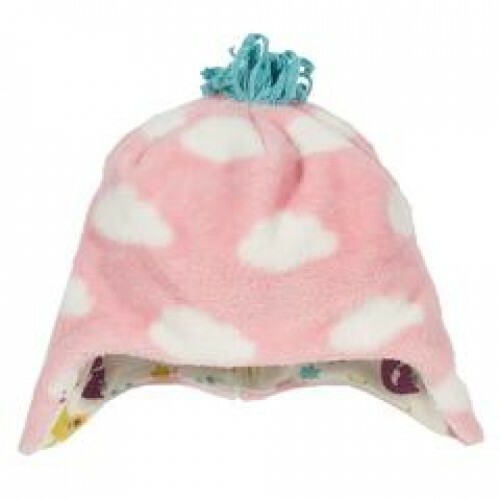 We love this comfy jersey lined fleece hat in a gorgeous cloud print. Designed to pull right over the ears securely on and with cute contrast tassels its sure to be a favourite. Made from eco-friendly fleece and lined in organic cotton jersey.